Below are photos and videos of several top WWE stars at a pre-show dinner in Saudi Arabia with Vince McMahon, ahead of Friday's Greatest Royal Rumble event in Jeddah. Seated on one side of the table are Brock Lesnar, The Undertaker, Kurt Angle, The Great Khali, Mark Henry and Rusev. Vince McMahon and Triple H are at the middle of the table, while Roman Reigns, Braun Strowman and Shane McMahon are on the other side. In a video that has been removed, someone mentioned something to Vince about what they'll be able to do for next year's event, and Vince shrugged it off, suggesting that it will be fine. Make sure to join us on Friday for our live coverage of "The Greatest Royal Rumble", starting with the pre-show at 11am ET. #WWF #WWE #ROYALRUMBLE VC: @super__wwe This is amazing ?? 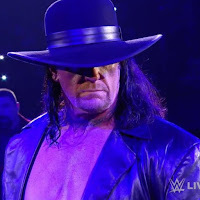 - A fan in Saudi Arabia posted the photo below of The Undertaker training with Elias. 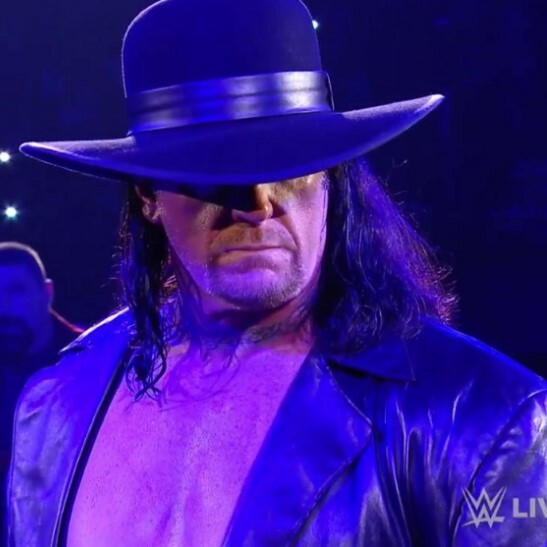 Taker faces off against Rusev in a casket match at Friday's "Greatest Royal Rumble" event in Jeddah, while Elias will be a part of the 50-man Royal Rumble.